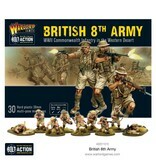 Formed from the Western Desert Force in 1941, the British 8th Army comprised men from across the British Commonwealth - British, New Zealanders, Australians, Indians and South Africans. 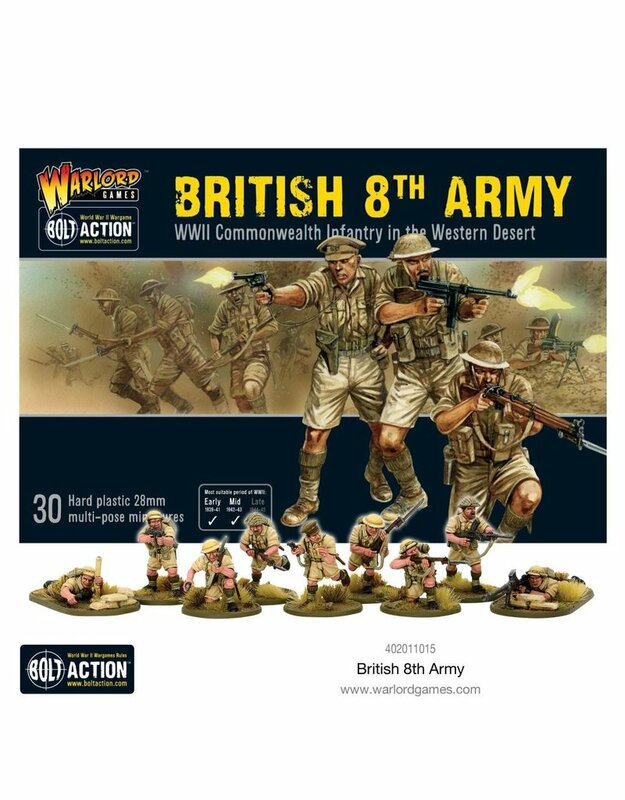 Following early successes against the Italians in North Africa, the 8th Army suddenly faced a new, more deadly foe - the Deutsches Afrika Korps led by their mercurial commander, Erwin Rommel. 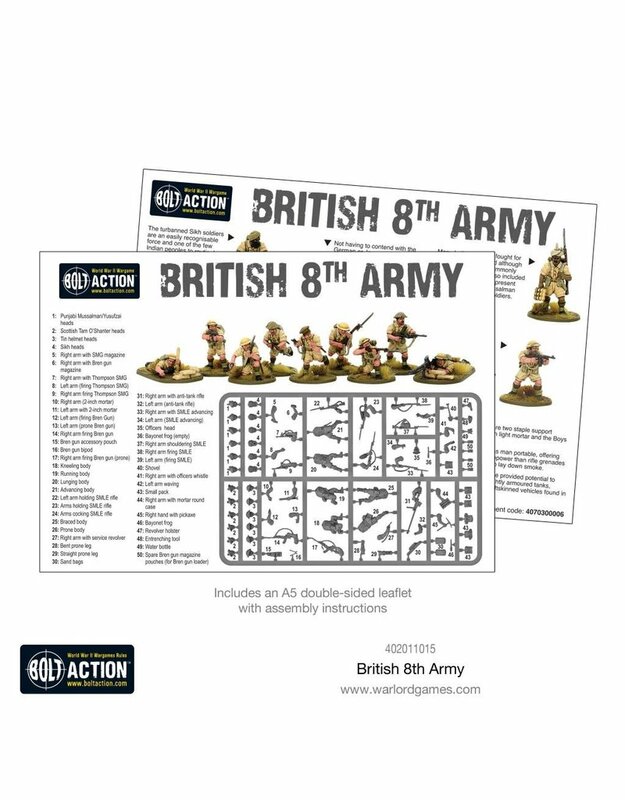 Thus began a series of operations with Allied and Axis forces being pushed back hundreds of miles only to regain that territory and more with battles at El Alamein, Tobruk and Beda Fomm becoming legendary. 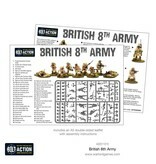 With the Allied victory in North Africa the fighting soon encompassed Tunisia and then the very heartland of Italy itself. 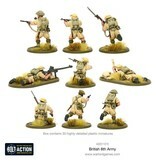 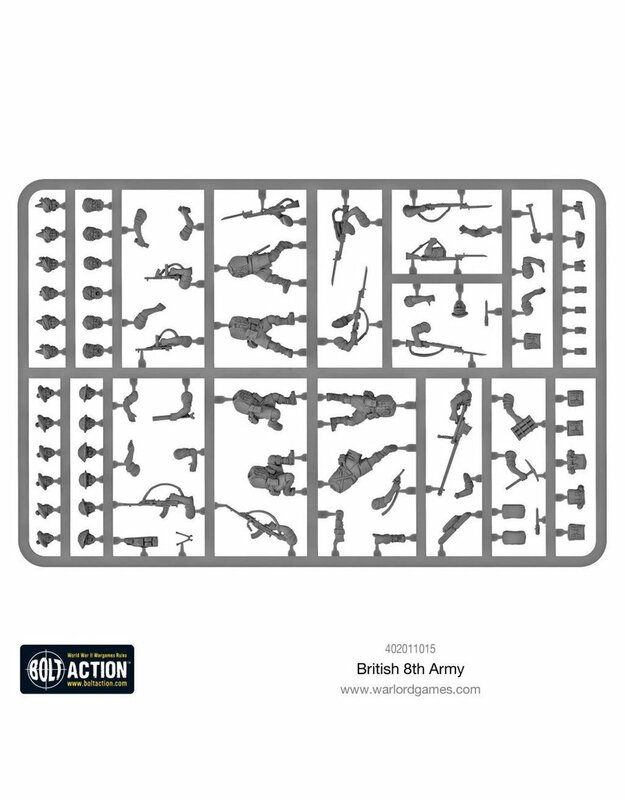 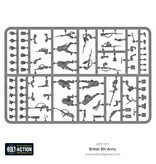 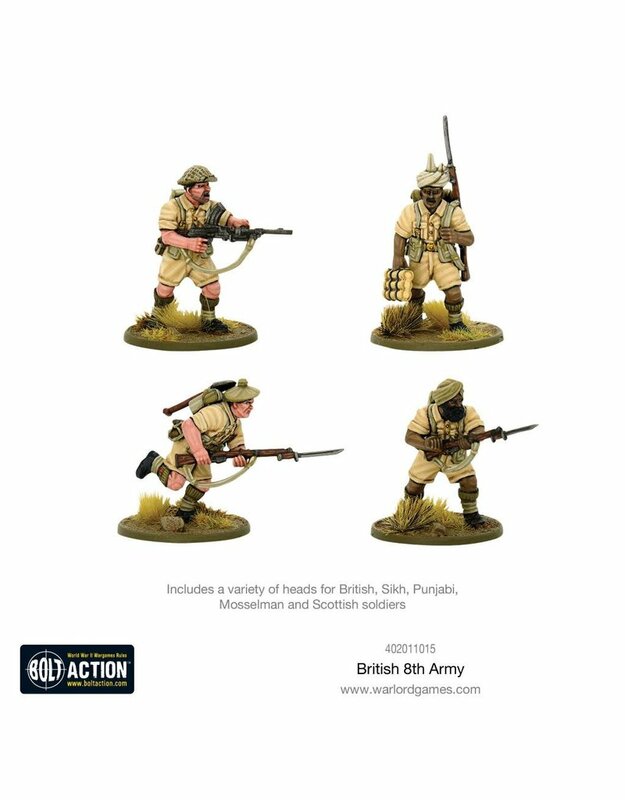 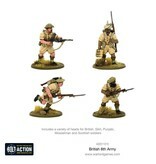 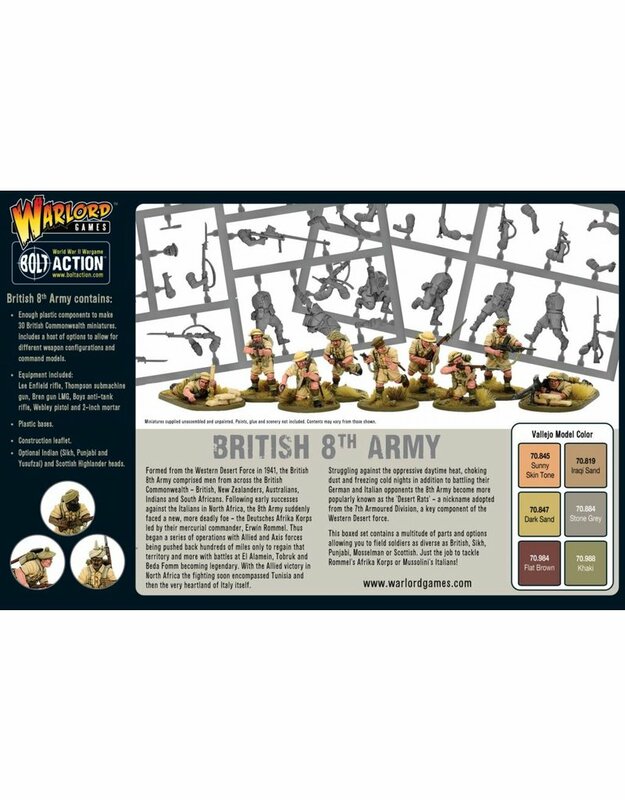 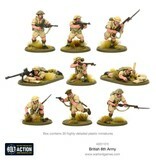 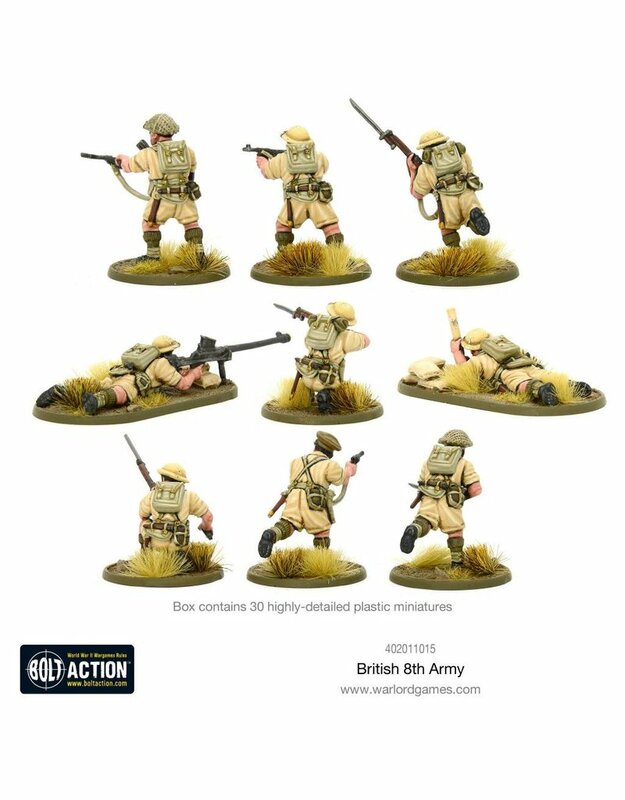 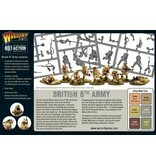 This boxed set contains a multitude of parts and options allowing you to field soldiers as diverse as British, Sikh, Punjabi, Mosselman or Scottish. 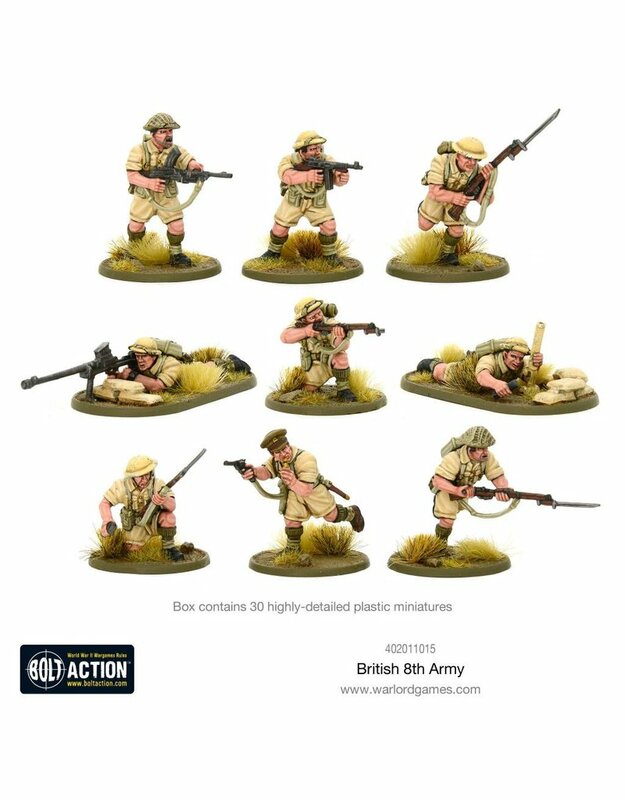 Just the job to tackle Rommel's Afrika Korps or Mussolini's Italians!